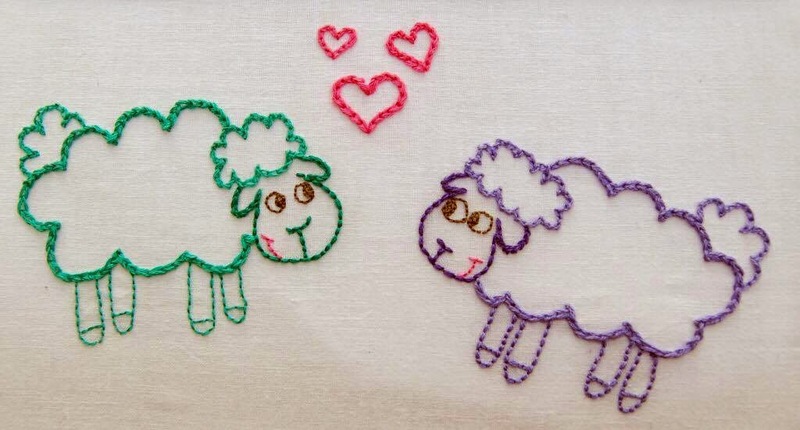 For Valentine's Day at the shop this year I designed a free embroidery pattern of two sheep in love for our customers. Valentine's has come and gone and since this weekend is the Kentucky Sheep and Fiber Fest, I thought I would offer it up here. The sheep love pattern can be downloaded here. Also, if this is your first embroidery project or your first hard copy transfer, I highly recommend Jenny Hart's tutorials, they are how I learned. For this project I used the tracing paper and transfer pen technique, but if you don't have a transfer pen or carbon transfer paper, you can get away with tracing it lightly onto your fabric with a thin graphite pencil. Have fun! !